Thanks to everyone who came to and supported my photography show at Madrone Art Bar from June 18-September 2nd, 2018 and for those who entered my contest. Check out their amazing creativity and insight by looking at the tag #ronosaurusrex on Instagram. 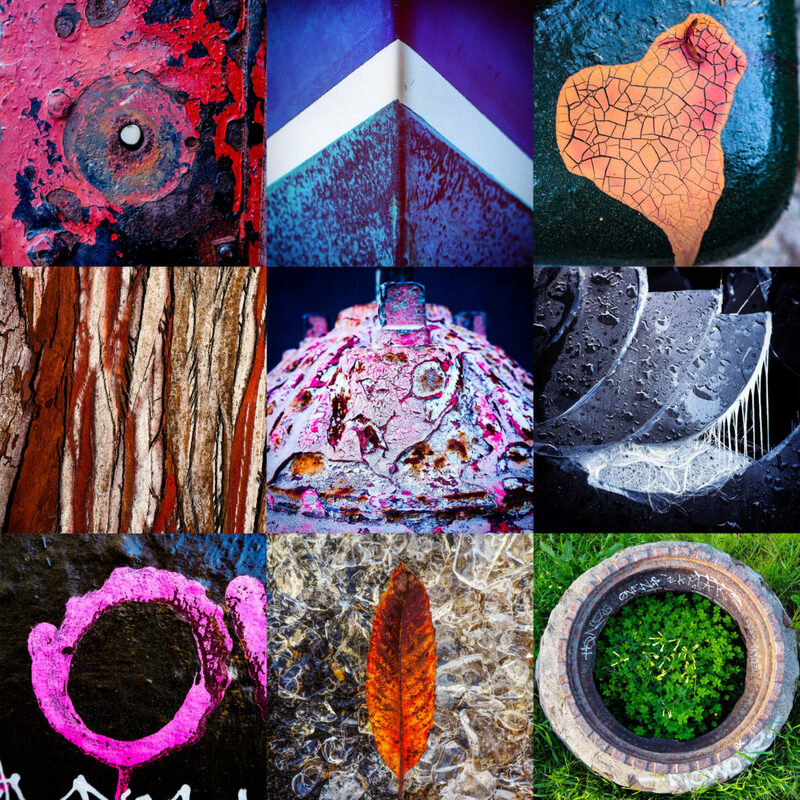 Looking for beauty in unlikely places, Ron Richardson photographs colorful urban details so small, so unobtrusive, so unimportant that most walk by without noticing. 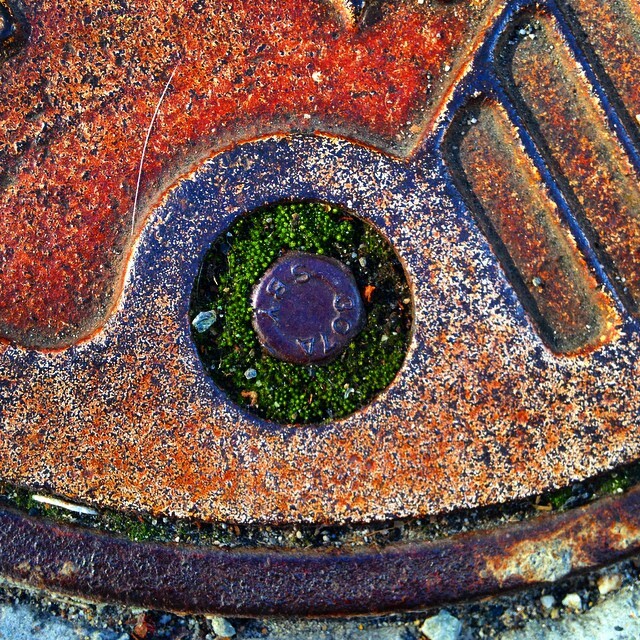 In these nooks and crannies of our civilization, the natural meets the artificial: plants grow in the cracks, litter mixes with fallen flowers, and metal rusts into glory. Ron Richardson has been honing his unique abstract photography style for over two decades. 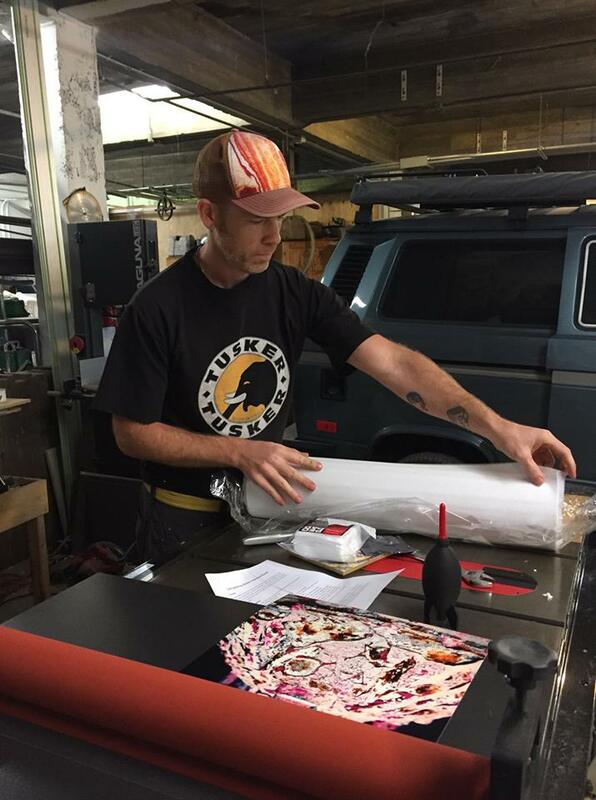 With a body of work in the many thousands of photos he has taken to the streets to build a new collection specifically for Madrone. Here’s a little history of the show, my first art show! I have been taking pics for several decades of small details abstracted from their context to focus on shape, line, texture, and color (which is what I mean when I say “abstract”). However, Instagram got me addicted to photography. I would love it if you followed me: Ronosaurus Rex. 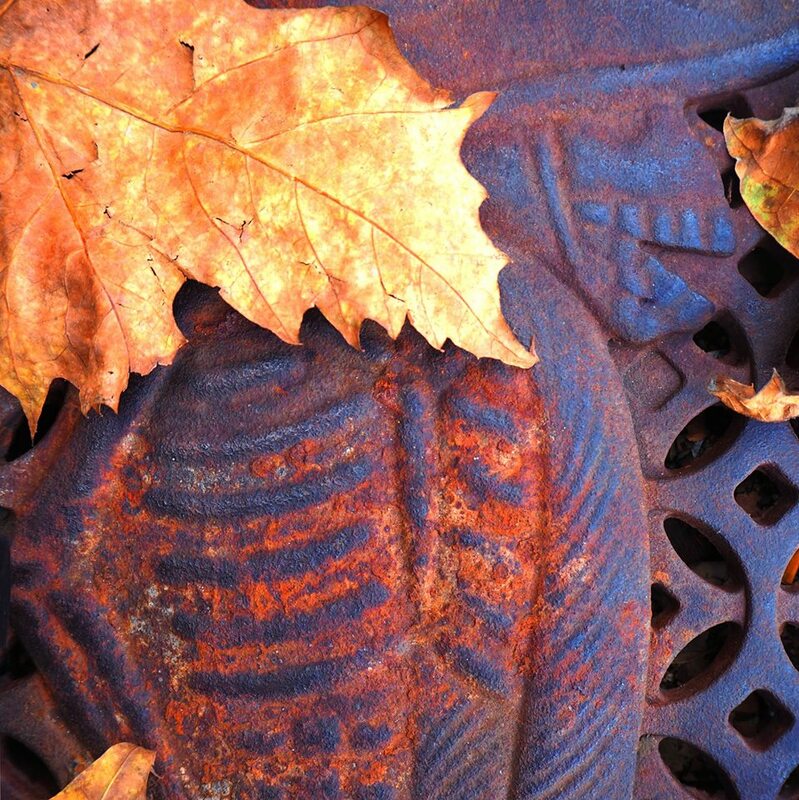 Learn more about the influence of modern art and abstract art on my photography. 6,800 pictures later, I am going to have my first art show at Madrone Art Bar. 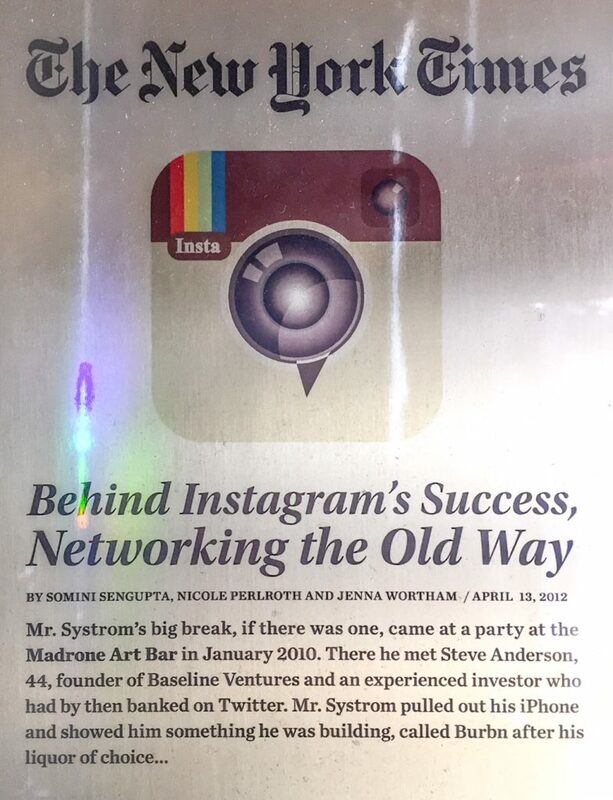 Just noticed this plaque saying that the creator of Instagram, Kevin Systrom, won over an important investor, Steve Anderson, the same investor behind Twitter at a party at Madrone Art Bar. I love this coincidence. Hooray for Instagram! Hooray for Madrone! I owe this show to my good friend Kirt Fitzpatrick. He is the instigator of the show, the producer, and the carpenter (more about the latter below). Madrone is our favorite hang out, and he kept saying that he would like to see my photos on the wall and even own a few of them. He kept talking about the possibility to Michael Spike Krouse, the owner of the bar, showing him my work, until his interest was piqued. Omar Rodriguez-Rodriguez, my husband made several mockups for the show, which is what finally convinced Spike that the three of us as a team could put together a legitimate show. Thanks to Michael Spike Krouse not only for this show, but also for being a true patron of art, music, and cocktails. Madrone Art Bar, our favorite bar, is a wonderland of eye candy: so many things to look at, like the bomb hanging from the ceiling covered with mirrored squares like a disco ball. Several times a week live bands, like the Jenny Kerr band, play, or our favorite piano players DJ Leibowitz and Kitten on the Keys. And the specialty cocktails, such as the Sam Spade, are crafted with care by Chris and Richard and other bartenders. 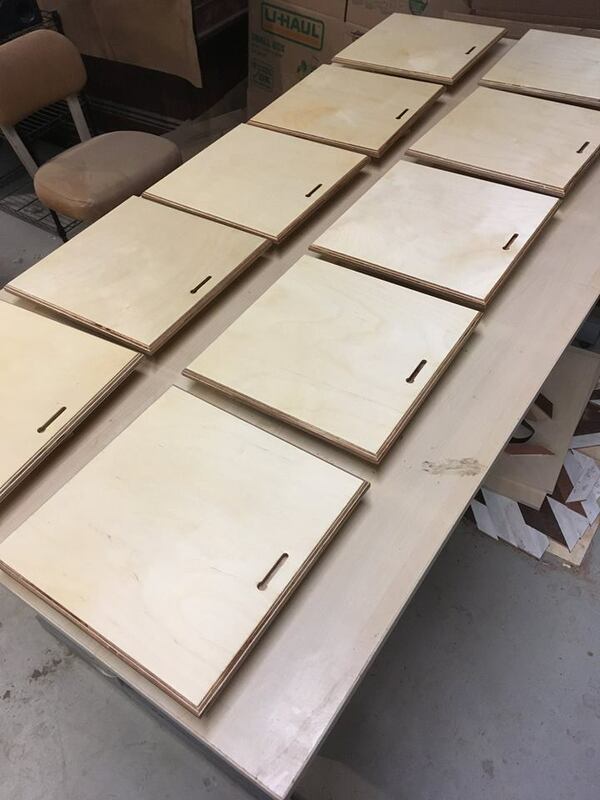 Kirt, a gifted carpenter, is creating beautiful, hand-crafted mounts from white birch plywood. Helping him, I saw how labor intensive it is. We started with a rough cut, then sawed each piece carefully four times, then four more times for the beveled edge. Next I drilled a small hole to start the keyhole in the back for hanging the pictures and Kirt created the keyhole. Then we sanded each mount, finished it with polyurethane, waited at least a day for them to dry, sanded them again, and applied another coat of polyurethane. At last, we have made 64 mounts, 57 of which will go into the show! Plywood is better than solid wood for art, Kirt tells me, because the layers going different ways counteracts expansion and contraction due to temperature changes, which could damage the photo. Omar is the art director for the show. Basically, he is curating the show, choosing photos that have a similar look and feel that will work well next to each other, as he did so well in my two blurb books. Check out #abstract and #abstract2! Notice how well photos on the front and back covers and those on facing pages work together. After the selection process, I have been working hard at reediting all the photos, using new techniques I learned from my photography class at City College of San Francisco with Nadareh Degani. I also teach English Composition at City, but it was great to be a student again. Omar has also taught me a lot about visual theory and editing. Can you see the differences in these two photos? Among other things, I have removed the white bit of envelope, as well as many white dots, improved the cropping, and enhanced contrast, detail, and color. 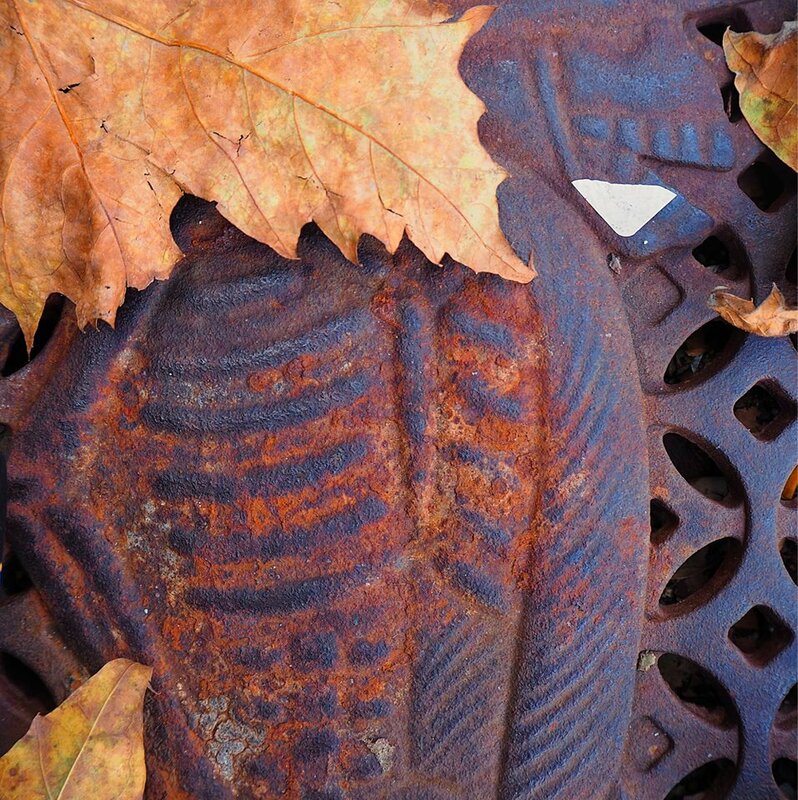 Check out the detail on the leaf and the color of the rust on the ribs. Omar is checking the edits and putting final touches on them. 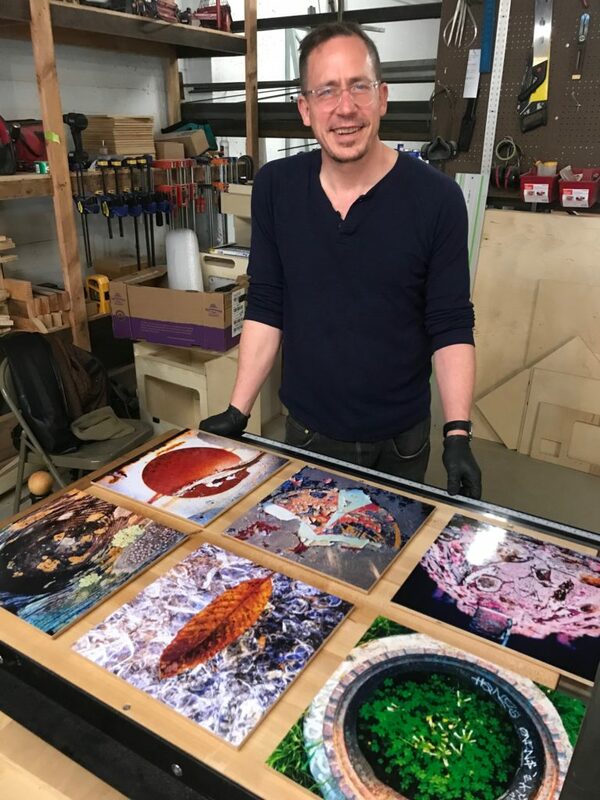 Kirt and I researched ways to protect the photos and decided on Kirt’s approach: an optically clear, acid-free, uv-protective laminate that will greatly extend the life of the photos. Here we are about the take the trial run. Great meeting yourself and the team at Madrone yesterday. 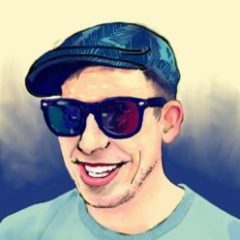 Thank you so much, John! Great to meet you too. I hope to see you again at Madrone.